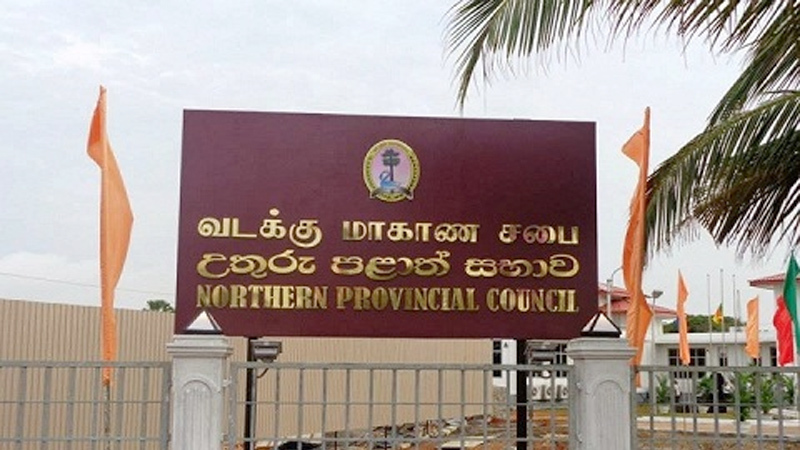 The two ministers of the Northern Provincial Council (NPC), found guilty by a three-member committee which investigated corruption allegations made against them had tendered their resignation. Education Minister Thambyrajah Gurukularajah tendered his resignation yesterday, while Agriculture Minister Ponnuthurai Ayngaranesan had reportedly handed over his resignation to the Chief Ministers office earlier. “However, as the Chief Minister was absent and council member M.K.Sivajilingam had accepted the letters and had handed them over to the Northern Governor’s Secretary,” political sources from Jaffna said. Earlier, Northern Provincial Council (NPC) Chief Minister C.V.Wigneswaran called for the resignation of the two Provincial Ministers over corruption and fraud allegations after the committee appointed by him had found them guilty. The Chief Minister made this request when the NPC took up a debate on the report submitted by three-member committee, which investigated corruption allegations made against NPC ministers. The Committee appointed by the Chief Minister last year comprised of two retired judges and one retired GA. The committee found evidence on the charges made against the above-mentioned two Provincial Ministers. The Chief Minister also requested Provincial Health Minister Dr.P.Sathyalingm and Civil Transport and Fisheries Minister B.Denishwaran to go on leave until the corruption and fraud charges against them are properly investigated. Earlier,NPC Ministers Kurukularaja and Ingaranesan pleaded not guilty when they were given time to show cause with regard to the allegations. However,some members of the NCP were against Wigneswaran’s decision to send on leave the health minister and the transport minister who were not found guilty by the committee. Later,16 members had handed over a No Confidence Motion against the Chief Minister to the Governor which resulted in public protests both against Wigeswaran and in support of him. On Monday,Tamil National Alliance (TNA) Leader R.Sampanthan had told the group of Northern Provincial Council (NPC) members to withdraw the No-Confidence Motion submitted against Northern Province Chief Minister C.V. Wigneswaran.